Learn more about LVHN's robotic surgery program from Martin Martino, MD, medical director of the minimally invasive robotic surgery program, and one of his patients, Valarie Clark, in this video. Watch a video to learn more about Martino. A large group of Lehigh Valley Health Network (LVHN) surgeons are employing the latest in robotics to improve minimally invasive surgical results across eight service lines. They include applications in gynecology, urogynecology, gynecologic oncology, urology, general surgery, thoracic surgery, colon and rectal surgeries, and surgical oncology. LVHN surgeons have performed more than 2,800 surgeries with the robotic platform since 2008. As a result, the program has developed into one of Pennsylvania’s largest. That volume also has allowed LVHN to be home to a highly experienced surgical team using robotics in minimally invasive procedures. Using the only FDA-approved robotics platform, the da Vinci® Si HD surgical system, surgeons are offered a three dimensional, picture-perfect image of the surgical site. “This allows us to perform a technique through a minimally invasive approach where we can see our procedural field in 3-D and high definition,” says LVHN gynecologic oncologist Martin Martino, MD, medical director of LVHN’s minimally invasive robotic surgery program. “It is very much like an open surgery.” Moreover, the system provides surgeons with the ability to see vessels and lymphatic channels and helps pinpoint tumor location. 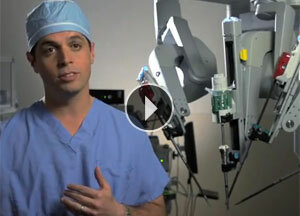 The robotic system allows surgeons to perform minimally invasive procedures more precisely and accurately. This is because the instruments articulate like hands and wrists. “The instruments are extremely small, and we can control them such that it mimics the surgeon’s technique exactly,” Martino says. 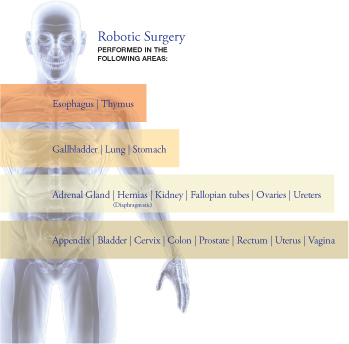 The operative time for many complex minimally invasive surgical procedures has been reduced using the robotics platform. “And our patient outcomes are improved with less pain, faster recovery, quicker return to daily activities and less scarring,” Martino says. Across LVHN’s department of gynecology, open surgeries have decreased from 46 percent to 18 percent since 2008. In gynecologic oncology specifically, they declined from 90 percent to 18 percent. Similarly, in thoracic surgery, length of stay is significantly less following robotic-based lung cancer resections compared with open procedures. LVHN surgeons are able to perform more of their procedures in a minimally invasive approach, in the process reducing the frequency of open surgeries. “All of this has allowed our team to deliver higher quality care and quality at a lower cost,” Martino says.